Half of this entry should be relatively self-explanatory — these are albums that, for various reasons, just missed our final cut. All of them are worth your listening time, and them falling just outside of the top 30 really shows just how much good music came out of Japan. The other, though, is a bit complicated. I’m not sure J-Pop…here referring to the upper echelons of the Japanese music industry, the stuff topping the Oricon Charts and monopolizing TV air time…produced many great albums in 2016. A few exceptions, sure, but overall not much I’d consider being particularly incredible. However, a lot of deeply interesting and relevant full-lengths came out, all of them mostly good but more notable than great. Those get some space here, too. Apologies to For Tracy Hyde, Lovely Summer Chan, Paellas, Shugo Tokumaru and any other album that came out too late in the year to get enough spins. Moment of honesty to start off with — every single release Orange Milk Records put out from a Japanese artist this year (and plenty from elsewhere, too!) was fantastic. CVN, the solo project of Jesse Ruins’ Noboyuki Sakuma, has the good luck to land at #31 for me, but Matters still shakes my head around wherever I put it. If his best work in Jesse Ruins managed to balance dreaminess with a lurking unease, Matters uses sonic texture to plunge right into that dark zone, the songs here rattling forward on heavy percussion and with vocal samples adding to the persistently shadowy mood. Get it here. No J-Pop release in 2016 sounds as miserable as Ryoseibai. Try, if you can, to ignore the scandal that surrounded the release of this album back in January and set in motion the breakdown of a group who just a year prior seemed like an intriguing new entry to the mainstream. You don’t need any of that, even if it makes it seem all the juicier. No, this is 17 songs frequently finding Enon Kawatani sounding exhausted about life, singing from the perspective of a burned out office worker and as a “serial singer” who sounds ready to hit Townwork, and as a guy tired of romance (!!!). It’s bloated and ultimately too much of a drag…but when the band is on, they create a knotty backdrop for Kawatani to sing about two sides being equally wrong (which…hmmmmmm I don’t know). Ryoseibai was pulverized in the wake of tabloid revelations, but remains interesting thanks to how done with everything it sounds. The two best ways to use the singing synthesizer technology Vocaloid is to either push it in an experimental direction or double down on its digital properties and make pop in a style similar to Perfume. Mameyudofu goes for the latter, and comes up with the best Vocaloid-featuring release I heard all year. Nothing complicated — just a lot twinkling synth patterns, piano notes and computerized voices pushing it all forward. Get it here. 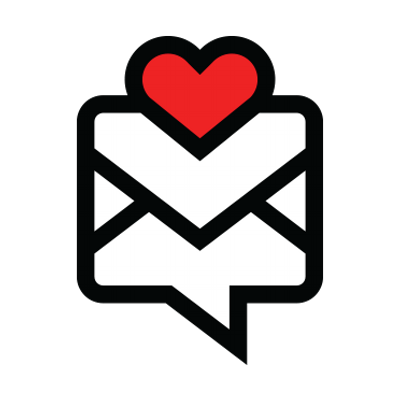 Not many funk odes to the web, but not many artists make a “My Love Is Online.” Hyogo-based producer The Hair Kid teamed up with Akita Momo for a number that made dial-up sounds and AOL mail alerts sounds intimate, and followed it up with the sweltering “Plastic New York” with Q.i. 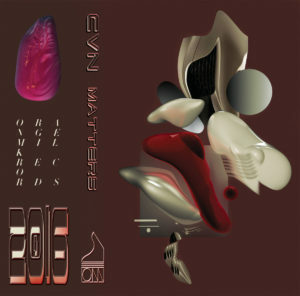 That would be a solid one-two punch, but this release gets extra force from one of the best sets of remixes on any release here this year, including dissected remakes from Okadada and a breezer of a rework via Pasocom Music Club. Get it here. Here’s an exceedingly hot take — Cosmic Explorer is a fine album. 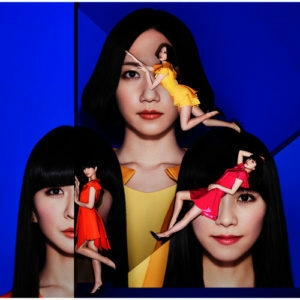 Perfume, in 2016, are a group enjoying a comfortable existence. 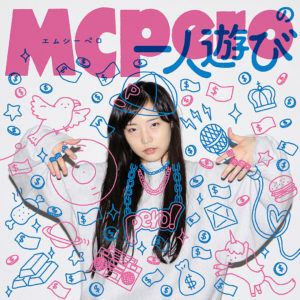 They’ve reached the pinnacle of J-Pop, and probably will stay entrenched their for the foreseeable future (even if producer Yasutaka Nakata isn’t necessarily pushing their sound forward anymore, they still have choreographer MIKIKO on their side, which might be more important moving forward). This, their fifth release, is less sonic about face and more comfort food. It’s primarily a collection of singles, and one improving on Level3’s flawed album edits. Here, formerly forgettable cuts such as “Cling Cling” feel rejuvenated, while “Pick Me Up” and (especially) “Flash” offered elegant takes on EDM. Incredible? No, but Perfume already shifted the J-Pop paradigm once. This is solid, and that’s enough. This list could just be clogged up by all the solid juke releases that trickled out of Japan this year (and the top 30 features a handful too). It was a banner year of sorts, with lots of strong releases and the godfather of the nation’s scene DJ Fulltono heading on a successful tour of the U.S. alongside one of the weirdos to emerge from the juke scene, Foodman. 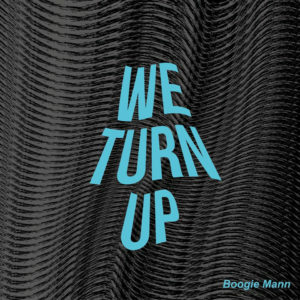 Boogie Mann has been near the top of the heap for some time, and We Turn Up offered a concise explainer why that was, full of darty tracks reveling in their skitteriness and drawing samples from all over the place (hey Kendrick Lamar, we see you). Just an all-around release from one of the scene’s most important figures. Get it here. 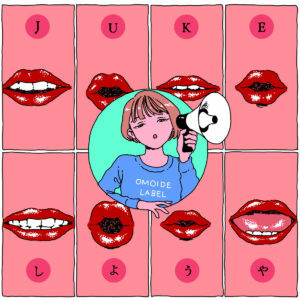 If We Turn Up picked the brain of one of the scene’s finest, the stuffed-tight Juke Shiyouya releases from Omoide Label showed just how far reaching the style has comes. Across two collections, and featuring 38 tracks, this set highlights familiar names (CRZKNY, Hiroki Yamamura) and a lot of lesser known creators offering a new perspective on the Chicago-born style. Yeah, there’s some stuffing here, but also some exciting mutations. Get volume one here, and volume two here. Technically, Especia still exist in trio form and releasing solid tunes. 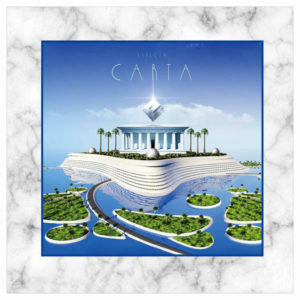 But lets not kid ourselves, Carta marked the end of Especia, the idol group toying around with absurd vaporwave imagery but ultimately making a modern-twist on city pop. Their final full-length together isn’t as thrilling a document as Gusto, but Carta has been aging nicely over the course of 2016, and features some of their finest numbers (just pretend “Clover” doesn’t exist, thanks). Ano(t)raks’ compilation albums remain as useful as ever in offering a glance into the nation’s indie-pop scene, and Azur highlighted a wide variety of styles, from coastal guitar pop (I Saw You Yesterday) to wonkier electro-rap-pop (Native Rapper). Get it here. Truth in advertising here. 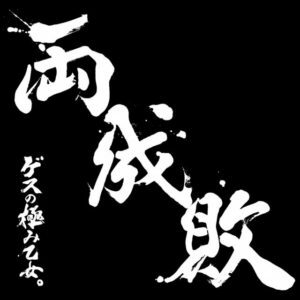 This project took one of the most crushing sounds you are likely to encounter on a daily basis in Japan, looped it and found some beauty in the overwhelming mess of sound effects and general clanging. It’s a logical inclusion in the Wasabi Tapes catalog, seeing as that imprint fancies jarring noises and how even the most cacophonous sounds can become beautiful (or at least entrancing) when played around with a bit. Also, far better than sitting in an actual pachinko parlor. Get it here. 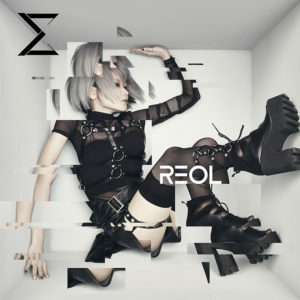 Something sounds just off on nearly every song on Reol’s debut album Sigma. A group though Reol herself occupies the spotlight, they draw heavily from contemporary American and Korean pop music. Which, hey, plenty of J-Pop acts have attempted to do. Critically, though, Reol doesn’t get it quite right. A song like “Give me a break Stop Now” clearly wants to be, like, 2NE1, but the way her voice skips at times and the track as a whole sounds like its about to break apart — miles away from the hyper-controlled production of K-Pop. This feeling of sounding familiar but just a touch wrong, and subsequently more interesting than a carbon copy, runs throughout, and makes Sigma one of the legitimately stranger releases to find widespread embrace in Japan this year. Artists rarely pivot into new forms without some time spent figuring it all out. 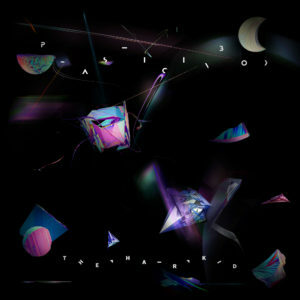 Collapse marked Seiho’s turn from high-energy bass music towards something more experimental, more formless. 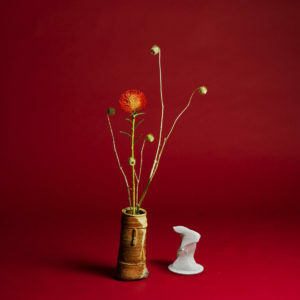 Reminds of the Osaka artists’ pounding sound remained on cuts such as “Plastic” and “Peaches And Pomegranates,” but Collapse also featured spacier number marked by jazz spasms (“The Vase”) and twisty synth work (“Deep House”). It’s an intriguing step forward full of great ideas, but one still adjusting to new realms. I think whatever comes next will be the really exciting development. Get it here. Thematically, Utada and Hamasaki made the same album in 2016. It isn’t too surprising, as both are basically of the same generation, and are no longer the young pop stars towering over the J-Pop landscape at the end ’90s. They are adults trying to reckon with that very fact, and all the baggage that comes with it: responsibility, love, personal changes, death. Sonically, the two went different paths. Utada mixed piano-guided ballads with more uptempo pop, and featured young outsiders Kohh and Nariaki Obukuro stopping by. Hamasaki embraced traditional Japanese sounds and electric guitars, give or take one better-left-unheard Globe cover tacked on to the end. Yet both dabbled in the same pain, delivered in flawed packages (collections featuring primarily soul-searching ballads will do this, even when you have two J-Pop artists actually good at them). Of course, the narrative didn’t play out this way. Utada retreated from the public eye for six years, building anticipation for her return and gifting her the air of an artist licking the wounds of life and coming out with capital A “art” at the end. Hamasaki, meanwhile, has never learned to vanish for too long, and she’s better known for her popular downfall, punctuated by decreasing album sales and thousands of K-Pop fans heading for the exits before her headlining A-Nation sets. She got grilled in a Twitter-popular parody of the meme-song “PPAP.” Utada made the event album of 2016 in Japan. Hamasaki’s was used as a cheap ploy to get streaming service subscribers. Yet both were haunted by the same ghosts. 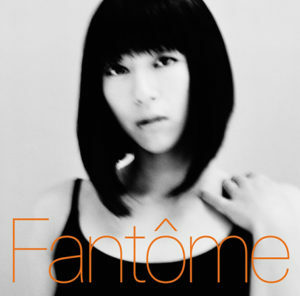 I think both are flawed as album, and am not quite sold on them, especially Fantome, the one that has received far more praise. Yet that one is also among the — if not the — biggest J-Pop release of 2016, and it’s interesting that an album where its most talked about song is all about the desire to just space out for a couple hours (“Nijikan Dake no Vacance” with Sheena Ringo), and its big pop moments clouded by uncertainty and doomed longing (“Michi,” “Tomodachi”). It’s human in its imperfection — it is very much an album not ideal for the hyperbole-saturated era we live in, though good luck convincing that to those who can only speak in .GIF files. Yet all the positives I can point toward that one also remind me of her J-Pop compatriot Hamasaki, who floated in the same territory on M(a)de. Both were the sound of artists representing a specific time dealing with what has already happened, while trying to look forward.